So, the last several months we have been under a deluge of astrological aspects and extremely difficult cosmic weather, and I always find it interesting when real-world events mirror astrology, which was visible during Hurricane Michael, and the devastation that the cyclone left on the Florida panhandle. This week we have only positive astrological aspects so that you can breathe a sigh of relief. The biggest newsmaker of the week is Jupiter changing signs on Thursday when he moves out of Scorpio and into Sagittarius. I won’t cover Jupiter in this blog post because I wrote an entire post about him, which you can read – Jupiter in Sagittarius: The Age of Hope and Optimism. You will want to check this out because I reveal how each sign is affected by Jupiter moving into the sign of the archer. But, before Jupiter moves into Sagittarius, we have a New Moon that occurs in Scorpio. Scorpio is the sign of transformation, but it’s also the sign that governs our repressed unconscious that assists in creating our self-defeating behaviors. You can use this New Moon to let go of behavioral patterns that no longer work for you and heal the underlying issues. If you are magically inclined, the New Moon in Scorpio is great for uncrossing, cut and clear, and healing trauma work. For those less magically inclined, family of origin or shame work may be beneficial. Regardless, Scorpio is about shedding your old skin and replacing it with a new you. The Moon moves through Libra and forms a square to Pluto. Feelings you have held onto or have not acknowledged may surface during the afternoon hours, and despite your emotional urges, it’s best to avoid compulsive behaviors. If you face any difficulties with others, the Moon trine to Mars will boost your confidence, and you will feel more assertive. It’s best to show your leadership skills because they will benefit you in the eyes of others, potentially opening doors in the days to come. It’s election day, so make sure you participate in your civic duty by voting. Regardless of your political beliefs, voting is the most fundamental way for you to speak up and let your voice be heard. Astrologically, we have a couple of aspects to mention. 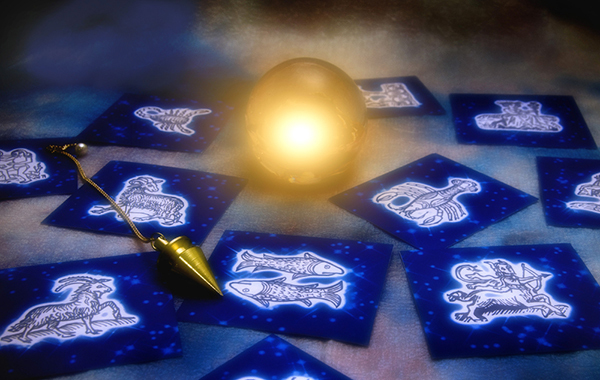 First, the Sun forms a lovely trine to Neptune, and your intuition will be off the charts. But, Sun trine Neptune makes you thirsty for more out of life, and this is a great time for you to question whether your spiritual or physical needs are being met. Secondly, Sun trine Neptune dovetails into Uranus returning to the sign of Aries. One of the keys to Uranus in Aries is experiencing a sense of inner freedom, and one of the ways we quickly realize our freedom is directly proportional to whether we feel that our needs are met. Uranus in Aries will give you the itch to let go of traditional structures that are no longer working for you and helps you embark on a new path. It’s New Moon magic day. The Moon joins the Sun at 11:02 AM on the east coast of the US. This is an auspicious time for you to do magical or intention work with the New Moon. Also, the Moon makes only positive aspects throughout the day, so matters that concern you should flow smoothly. The Moon continues its trek through emotional Scorpio and forms a rather volatile aspect to Mars during the morning hours. You may feel a bit edgy and irritable but try to avoid doing anything rash or impulsive. After the Moon squares Mars, it spends the rest of the morning void of course before it moves into Sagittarius. Try to avoid signing documents or forming firm agreements until the afternoon hours, and any difficulties that occur during the morning hours will be resolved with the Moon conjoins Jupiter. There is a powerful aspect between Venus retrograde and Mars during the late morning hours. After spending several weeks retrograde, if you did the work, you will have acquired a lot of insight into your relationships. 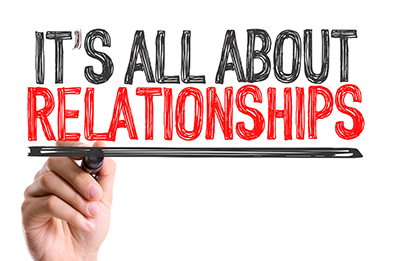 As a result, you are concerned that your partner’s needs are met in the relationship, as well. Since it’s Friday, spend some time with your partner and spice things up. Maybe, dinner, a movie, and a little bit of something extra. Saturday is great for relaxing and having some fun. All the aspects the Moon makes through Sagittarius are positive, and its final aspect to Uranus will shake things up. Do something fun and exciting and make the most out the spectacular energy available. On Sunday, the Sun forms a sextile to Pluto in Capricorn. Sun-Pluto aspects give you the gumption to make changes that you need to make in your life. This is a powerful time to clear up any personal messes you have made and set things straight. This entry was posted in Uncategorized on November 3, 2018 by Storm Cestavani. Are you ready to step a bit deeper into Astrology? If so, I got your hookup! Now, before we get started on the planets (they are next), I want to spend a blog post on aspects. Next, you need to remember that planets are constantly in motion and move around the signs based on their speed. The Sun moves at about 1 degree per day, so it moves around the entire zodiac every year. The Moon moves faster than the Sun and moves through every single sign in about 28 ½ days. However, the outer planets (Uranus, Neptune, and Pluto) move very slowly and can spend many years in a sign. Hence, the further away from the Sun a planet is, the longer it takes to go around the Sun. It is generally accepted that the further a planet is out, it will tend to dominate or color the aspect, but you need to keep both in mind while doing an interpretation. In this blog post, I am going to focus on the major aspects that I use regularly in charts. There are many minor aspects, but I feel that they provide nuance to planets, but add little to the discussion. I may do another post on them in the future. So, you won’t see any dociles, reptiles, or imbeciles (these aren’t really minor aspects) here. This is the most powerful aspect in a chart and it corresponds to the circle being divided by 1. In astrology, the conjunction reflects a marriage between two planets. This means that these two planets are wedded together through the course of a lifetime and these two planets will forever be intertwined together. In some cases, these two planets get along and in other cases, their energies are so incompatible that it can cause great difficulties if it is not managed and worked out later in life. For example, the Sun conjunct Mars is a very powerful and dynamic aspect which gives enormous drive and ambition. These two fiery planets highly compatible. However, Venus conjoined with Saturn reflects feelings of inadequacy and often struggles through relationships because of deep insecurities. One thing to note about conjunctions is that the energy is very pure because the division is by 1. Therefore, all potentials and possibilities of the aspect lie within the conjunction. I personally use very large orbs and I suggest using 8-10 degrees for a conjunction and you should pay close attention to them because they can often take over an entire chart because their energy is so strong. In the mystical Kabbalah, the number ‘2’ is associated with the beginning of fragmentation. The potential of the 1 has now been divided into 2 and reflects a pair of opposites and although these opposites are very much alike they represent two different sides of the same coin. These pairs are similar in modality and gender, but oppositions in regards to how they express these energies. So, within this aspect, there is tension, uncertainty and often doubt. Let me give you an example – Aries has to do with individual development. It is the sign of ‘me’. Whereas, it’s opposing sign which is Libra, has to do with relationships. Taurus has to do with resources, but its opposite sign Scorpio has to do with joint resources. So, there is a natural disharmony within this aspect that needs to be reconciled and you have to find a way to give life to both sides of the aspect. In the natural horoscope (this signifies starting with Aries and working our way around to Pisces), oppositions strongly influence relationships (because it evokes a natural 1st house – 7th house relationship). You will often see one side of the opposition projected onto relationships and our partners carry the parts we do not carry for us until we integrate the opposition. Essentially, the opposition is an aspect of conflict and it can evoke struggles and enormous tension within the horoscope. Let’s say you have a very earthy chart, which would reflect a tendency to need things solid and secure. Reliability is very important to you, as is dependability. In your chart you have Venus in Taurus opposed to Uranus in Scorpio. Your natural inclination is to claim Venus (since she is earthy and in an earthy sign) and project Uranus onto your relationships. So, although you value relationship structure and do not like change, you will invariably find change and unpredictability in your personal relationships and in your relationships with the outer world. You feel stable, but everything else feels chaotic and a bit unpredictable. It becomes necessary to eventually bring these two poles together in a way that gives you meaning and eventually allows you to contain anxieties that might occur because of the opposition. In the case of Venus oppose Uranus, often there is a difficulty holding onto relationships because once you try to structure them, the partner often needs freedom. This can be very stressful and it requires you to look at your own ambivalence in relationships (after all this is your Venus-Uranus aspect) and to face the fact that ultimately, sooner or later, everything changes and nothing is permanent. If you are doing shadow work, then oppositions are important and need to be examined closely. I use 8-10 degrees for an opposition. Are you really good at something? I am. I am great at studying and putting things together that are often difficult for others. I can see things quickly that other people do not notice or often ignore. Some people would say this is a gift, but I think it’s more Mercury in trine to Saturn. Trines are the result of dividing a circle by the number three and is considered an aspect of harmony and ease. Psychologically speaking, a trine reflects a part of the psyche that the ego can easily manage. However, the difficulty with this aspect is that it often lacks the tension necessary, for growth and can create laziness if it isn’t actively pushed or challenged. Trines are also considered lucky. If we look at the natural horoscope trines involve elemental similarities and gender identification. Let’s use the aspect that I presented earlier from my chart – Mercury in Virgo trine Saturn in Taurus. As you can see this is an earth trine and is concerned with what is real and practical. Mercury is concerned with how we understand life and perceive the world and Saturn is disciplined and critical. In the ease of the trine, these two planets work together harmoniously. So, you get an individual who carefully and methodically looks at life and circumstances that are presented to them, analyzing it wholly in order to come to a conclusion because the powers of the mind are disciplined and tend to not stray into the world of fantasy and possibility. Mercury trine Saturn is concerned with what “is” rather than what could be. The difficulty with Mercury trine Saturn is that it can sometimes ignore opportunities because it is so focused on the ‘now’ and the big picture can often be ignored because it is too much of a risk or a gamble. This can often leave you trapped in duties and responsibilities and joy and happiness are often sacrificed for the bottom line. I use an 8-degree orb for trines. Brace yourself! It’s about to get real. When you divide the zodiacal circle by four, you get an aspect that is known as a square. Out of all the aspects, it is probably the most difficult to experience and the hardest to integrate because the planets involved in a square have little in common with each other. The square is a high tension part of the chart and the planets involved usually reflect areas in your life where problems are likely to occur because the planets tend to be at war with one another throughout your life. However, because this aspect is so intense, it’s an area where tremendous potential can occur because it makes us determined and restless. In many ways, the square is the exact opposite of the trine. Trines are extremely easy aspect that tend to become lazy because they are rarely challenged, but squares are extremely difficult and often provide tremendous drive and motivation. Like oppositions, squares tend to influence our relationships. If you count 3 signs over from Aries (30 degrees per sign X 3 = 90 degrees, which is a square) you come to the sign of Cancer and if you do it again in reverse, you come to the sign of Capricorn or the 4th/10th house axis, which I have taught previously has a lot to do with our parents, early childhood, and how this leads to our formation as an individual or our relationship to the world. So, squares usually reflect long-term issues from childhood that have an enormous effect on our personality. Mars and Saturn are not the best of friends. Mars likes to act and can be extremely frustrated when he is restricted. He builds up steam and often picks a fight when he does not get what he wants. Saturn is the epitome of restriction and limitation. Together you can see how this can be difficult – every time Mars wants to act, Saturn frustrates him. This aspect tension can usually be found in early childhood in which our ability to get what we want is often denied. This can build up to feelings of inadequacy, vulnerability, and often being predisposed to failing. As a result, it can create an atmosphere of aloofness which can alienate those around us that could help us get what we want, but are less likely to do so because we appear cold and detached. In some cases, Mars square Saturn can overcompensate by becoming extremely ambitious and determined and will expend enormous energy to achieve something. In other cases, Mars square Saturn will simply give up. This is a constant cycle that on one level or another, will constantly arise for the Mars-Saturn native. In order to work with this aspect effectively, Mars square Saturn needs to be more approachable and accommodating with others. This will allow him to feel support by those around him and be able to receive assistance in helping him achieve his goals. Further, he needs to try to slow down and be patient and perhaps succeed at things one step at a time. This helps to develop self-confidence and self-worth. I tend to use large orbs with squares. 8-10 degrees is recommended. We arrive at the last of the major aspects. The sextile is formed by dividing a circle by the number 6 and coming up with an angle of 60 degrees. The sextile is considered a harmonious aspect and many astrologers consider it a weak trine. However, unlike the innate luck attributed to trines, sextiles need to be worked on in order for their potential to be realized. The difficulty with the sextile is that it is a mental aspect because it is connected to the 3rd and 11th house or Gemini and Aquarius. Sextiles can easily get trapped in thoughts and ideas and may have difficulties taking advantage of the aspect by giving it form. So, sextiles can be considered opportunities, but they are not innate. Let’s work with an example – Mercury sextile Mars. Mercury is the planet of communication and Mars is the planet that gives us drive and determination. When you combine these two archetypes together, you get a very active mind and excellent communication skills. People that have this aspect usually latch on to things quickly and your ability to observe things around you is heightened. Mercury sextile Mars also makes you an amazing negotiator, and your ability to compose arguments that get your point across clearly and precisely gives you an edge in business matters. However, you have to manage knee-jerk reactions because Mars has little self-control – especially if your opinions are challenged. This aspect values freedom of thought and freedom of expression and is willing to fight for them. So, you will often find people with this aspect gifted with a silver tongue, which can be biting at times. As I said earlier, sextiles are not as easy as trines. People that have Mercury sextile Mars will often have to work at it for the aspect to express itself optimally, but on a more positive note, it also does not tend to become lazy. In essence, it is developed over time and once developed provides the native with opportunities that otherwise would not be available. This entry was posted in Uncategorized and tagged Aspects, astrology, Conjunction, Opposition, Sextile, Square, Trine on July 25, 2018 by Storm Cestavani. I usually never return to the past — I tend to move beyond it, and when I stop doing something, I tend to move on to other projects. Repetition often drives me crazy and its part of the reason why we ended Keep It Magic after 6 seasons. I just felt that we had covered every single area of life and that the body of work that Jacki Smith and I could do in the podcast world was complete. About 13 years ago, I did a column for AOL called, “Ask Storm”. It was an astrological/psychic advice column that I did for two years. I enjoyed doing it, but as AOL began to lose traction in the online sphere, they changed many of the content providers they were working with which resulted in the column ending. A few weeks ago, I began to think about ways in which I could help people on a broader scale. 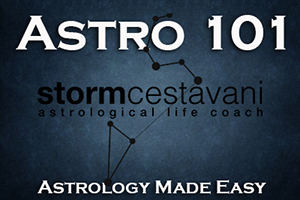 I have Astrology 101 — which I will be completing and adding fresh content, I have several Kabbalistic astrology based articles in the oven, but I needed to add something else. And, as things often happen, I was cleaning up some old folders and found an article I was working on for Ask Storm. I found the question really interesting and then thought that I should bring this column back. So, here we are the Ask Storm column is back in blog form. Let’s get to the question and then I will tell you the ways you can send me a question of your own. I’ve been studying astrology for about a year, and I am a little confused. Should we only use the modern rulers of Scorpio, Aquarius, and Pisces or should we use both? This is a great question. I think many people are confused when it comes to the outer planets because there is really no astrological consensus of how to work with them. Some people feel that they rule signs and others do not. Some astrologers use them, and others do not. I can completely empathize with you. Personally, I use them. I have not found it necessary to throw out the old in order to accommodate the new. I do feel that the three signs that are ruled by outer planets — Scorpio, Aquarius, and Pisces are connected to something that is larger than life. Jung called it the ‘objective psyche’ and many astrologers call it the collective unconscious. The main thing to know is that these signs are bigger than you and me (transpersonal), and seem to reflect urges that are more complex than the issues we have in our day to day life. However, when one of the traditional planets (Mars, Jupiter, and Saturn) are transited by a planet or triggered by progression, you will often see theme highlighted by the houses Scorpio, Aquarius, and Pisces are in. You can also see planetary aspects highlighted in the same way. For example, Sun conjunct Jupiter can often be seen in the house where Pisces resides as strongly as it does Sagittarius. I took a look at your chart and you have Aquarius rising, which reflects a path through life in which you need to understand the inherent schemes and patterns of things. Ethics and morality are important and there is a high sense of justice — at least on the intellectual level. Your ruler Uranus is in Sagittarius in the 11th house, which means that your friendships, group alliances, and the larger world are where you will find these patterns, and it even explains your interest in astrology. We could easily stop here and we would have a layer of meaning that is valid and explains your path through life, but when you add Saturn to the mix you get another layer. Saturn is in Libra in the 9th house. Saturn in Libra fears unfairness and will often see the injustices in the world on a much deeper level than most people, and because of Libra’s idealistic nature can often have difficulties in relationships, not because it is incapable of relationship or is denied them, but because it’s often hard to find someone that will fit into our vision of what we find idealistically desirable. Also, Saturn ruling the Ascendant and being in the 9th makes your beliefs about life very important to you, and any idealistic movement that you get involved with gives you great meaning and a cause to fight for. The humanitarian warrior is definitely an image I would use for Aquarius rising. If you would like a question about astrology answered, you can send an email on Keen with the subject header, “Ask Storm”. If I need more information, I will email you back. This column is for astrological information only, please direct email readings to me on Keen or schedule an appointment. If you have any comments or additional questions about this topic, leave them in the comments below. This entry was posted in Uncategorized on September 15, 2017 by Storm Cestavani. Mercury moves out of fiery Sagittarius and into career-oriented Capricorn. It’s time to settle down from the intense astrological energies of the last few months, and focus on building structure and foundation in your life to create a sustainable future. Career matters and obligations will be important during this cycle, and if you are an earth sign, this is a great opportunity for you to shine and perhaps propel yourself to the next level. 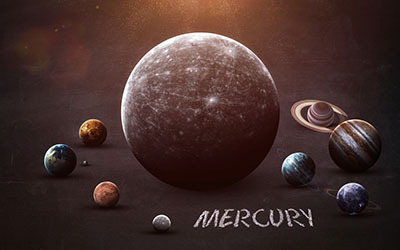 Mercury changes signs in the 4th house of the world chart signifying that family matters, our homes, and our need for security may be predominant over the next several weeks as Mercury has an extended stay in the sign of Capricorn since it goes retrograde on December 17th. If you need to finish up projects or any plans that require strategic thinking, the first part of December is the best time to get it done. In other astrological news, the Moon forms rather intensive aspects to both Uranus and Pluto. Emotionally, you may feel a bit anxious and unsettled as intense feelings come to the surface. Aries, Cancer, Libra and Capricorn need to be on guard. This entry was posted in Uncategorized on December 1, 2016 by Storm Cestavani.